Based on my dad’s truck. See the full album on Flickr. Magnitude with the Greendale Human Being. Photo by Eric Stevens. Revisiting Greendale with another round of characters. Put together for Scott Hetsko of News 8, WROC in Rochester, NY, upon his return to work after a heart transplant. 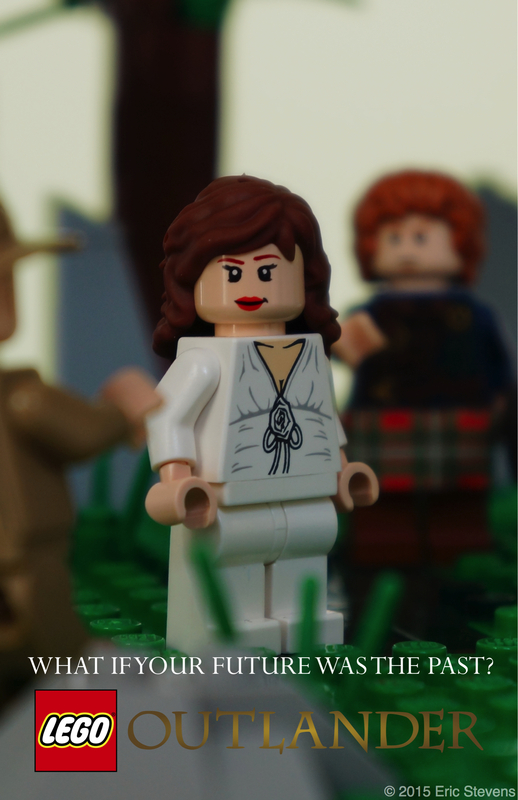 I was recently commissioned to make a slightly different version of my Outlander model, with Claire in 18th-century clothing and the addition of Dougal. The costume change required a switch to yellow minifigures. Craigh Na Dun, the standing stones featured in the Outlander TV and book series, with the cast. More photos in my Flickr album. 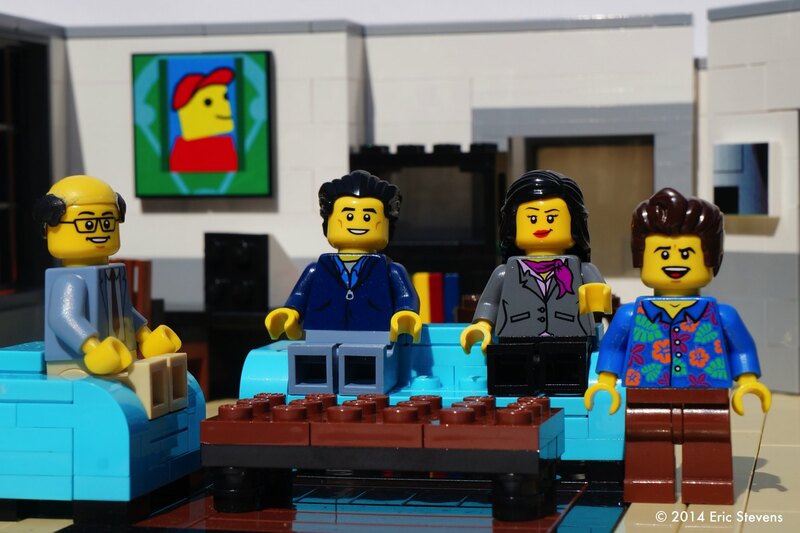 The cast of Seinfeld in Apartment 5A, the setting of the popular NBC series. More photos in my Flickr album. 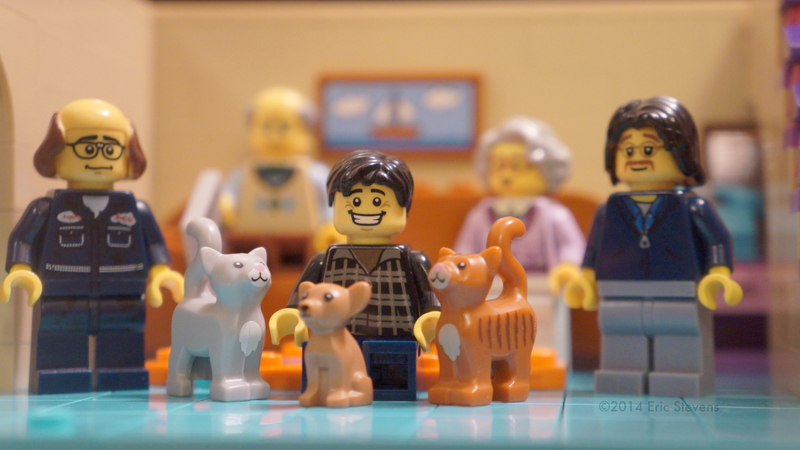 The cast of Ricky Gervais’ Derek series in LEGO.